Like this, but not too darn loud. 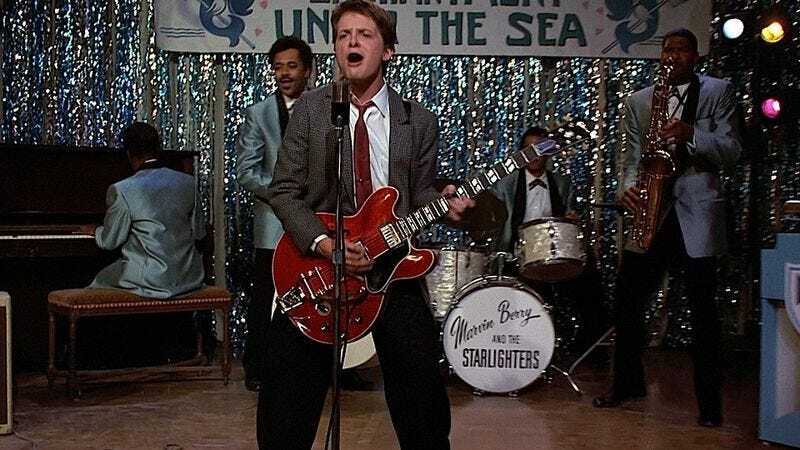 The Variety article doesn’t mention how the orchestra will handle the movie’s Huey Lewis songs or Marty McFly’s performance of “Johnny B. Goode,” but we think those could easily be replaced by an orchestra as well. They’ll just have to re-dub some of the dialog so it makes more sense. Something like: “Hey, Wolfgang. It’s Marvin. Your cousin, Marvin Amadeus Mozart. You know that new sound you’ve been looking for? Well, listen to this!” Then it’ll cut to Marty jumping around on stage with a violin as a bunch of ‘50s high school students look on in horror.